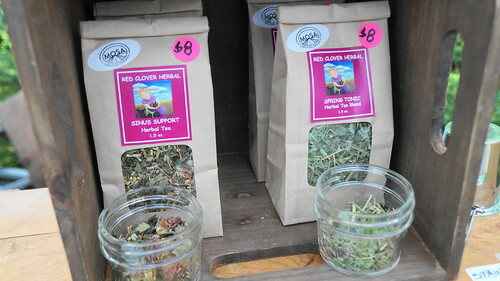 Red Clover Herbal Apothecary Farm at the Mill City Farmers Market - Mill City Farmers Market 2018 - Minneapolis Riverfront Neighborhoods. 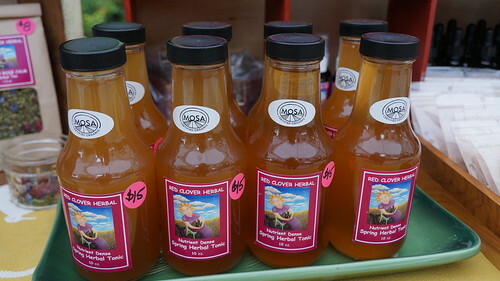 Red Clover Herbal Apothecary Farm debuted at the May 19 Mill City Farmers Market. 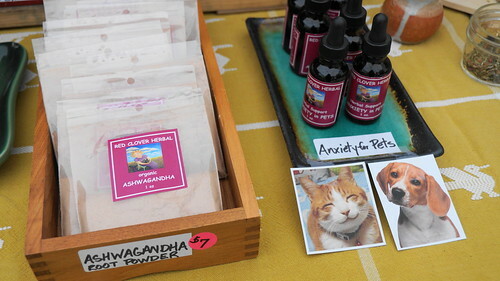 Nancy Graden is the owner of this certified organic herb farm and she offers seasonal CSA herbal shares, tinctures, teas, salves, balms, oils and even pet soothing products. 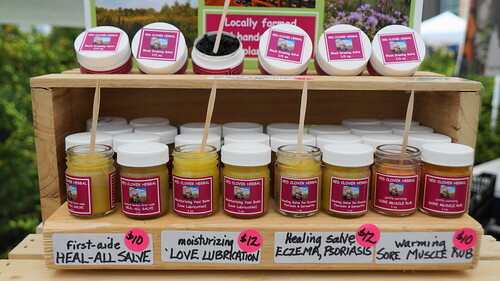 You can be assured that all Nancy's herbal products are fresh and made in small batches. 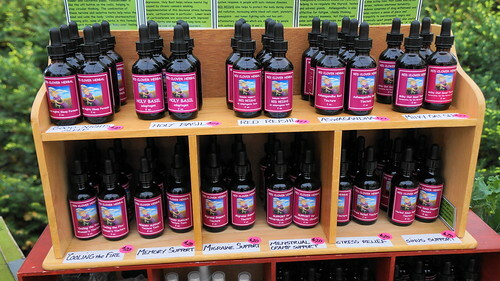 Prior to starting her herbal practice in 2009, Nancy had a thriving therapeutic massager practice for 26 years. She studied herbalism at Australasian College of Health Sciences, Anatomy and Physiology at the University of Minnesota and received an associates degree in Western Clinical Herbalism from Minneapolis Community College. Red Clover will return for the following MCFM dates: June 23, July 14, July 28, August 18, September 1 and 29, and October 20. 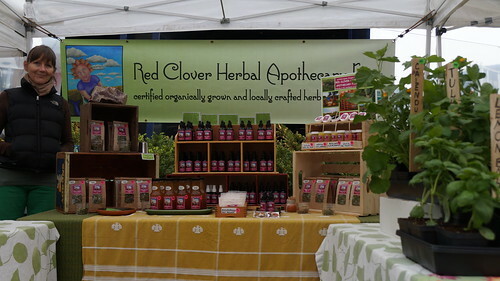 Follow on Facebook, or call 612-721-2682/email redcloverherbal@gmail.com if questions. 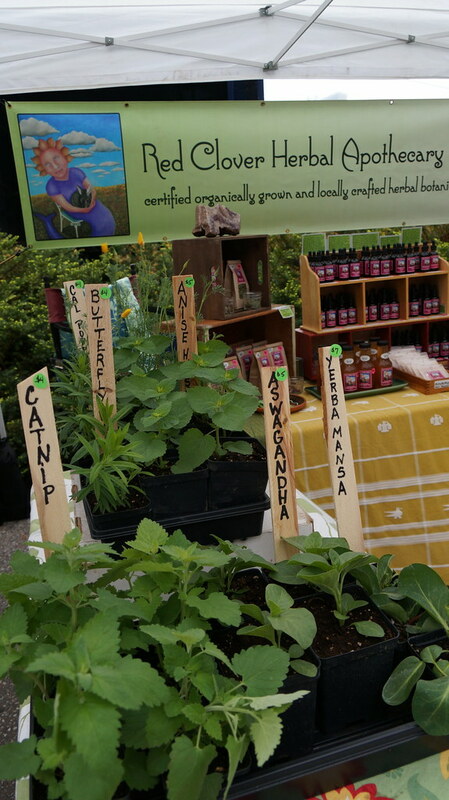 In addition to ready-to-use products, Nancy had a selection of gorgeous, healthy starter plants for sale at the May 19 Market.